We love coming to work each day. 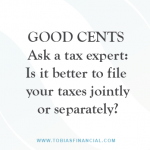 We know that can be a rare thing to say, but for us at Tobias Financial Advisors, it’s true. Matt, our president and a senior financial advisor, talks about what he loves about working here. We agree with him. As a growing family-owned firm, we have the opportunity to focus every day on the things that really matter. As a registered investment advisory (RIA) and an independent small business, we get to do things aligned with what we believe to be in the best interest of our clients and our values. 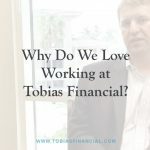 From the beginning, before it was widely adopted, Tobias Financial Advisors conducted business with a fee-only, fiduciary, client-focused approach. 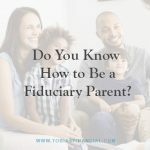 Even now, we adhere to the Institute for the Fiduciary Standard’s Best Practices. That client priority is more than a methodology; it’s why we exist as a small business. In a world of numbers, too often the people can be lost in the data. Tobias Financial Advisors is built on a fundamentally human approach. We are a family business, which keeps us personable from the start. Some of us are related, but all of us embrace one another as family. When certain challenges affect one of our team members and their family, we rally around to help and even raise money and awareness on their behalf. We care about each other — and in turn we care about our clients. Our family focus extends from our interactions with each other to the work we do for clients. Because we start from a place of family, we approach our clients’ needs from that perspective, too. We aren’t just trying to build their wealth and increase their numbers. We’re focused on giving them the life they want today, surrounded by the relationships they want. Every day, we see our clients’ relationships improved, and ultimately their life is enhanced as their finances move into place. Our entire team brings to the table a breadth and depth of expertise that allow us to serve our clients in unique and long-lasting ways. We have many examples of clients we have helped who come to us with a range of complex financial situations. We have helped them clear the dust and find a path forward toward their ultimate goals by employing our diverse expertise and putting their needs first. 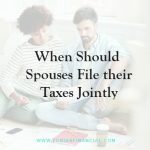 Not only do we focus on caring for one another and our clients, but we are connected and involved with our community. Not many organizations can boast of a founder who will rappel off the side of a building to raise money for charity. But we can! (By the way, Ben raised over $1,000 with that feat.) But that’s not where it ends. Our office often serves as a collection spot for donations to Harvest Drive and other charities — a visual reminder of our commitment to the community. Our leadership team volunteers its time with a number of various community boards and charities, and encourages everyone else to get involved in what inspires us. 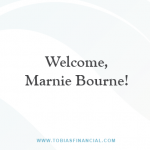 Tobias Financial Advisors is different in that we put people first, from the start. It’s built into how we operate and how we interact with one another and our clients every day. We are committed to continuing to care about those around us, using our skills and knowledge in finance to better their relationships and lives. If you’re looking for an independent, client-first firm that cares about doing things well, we would love to hear from you.